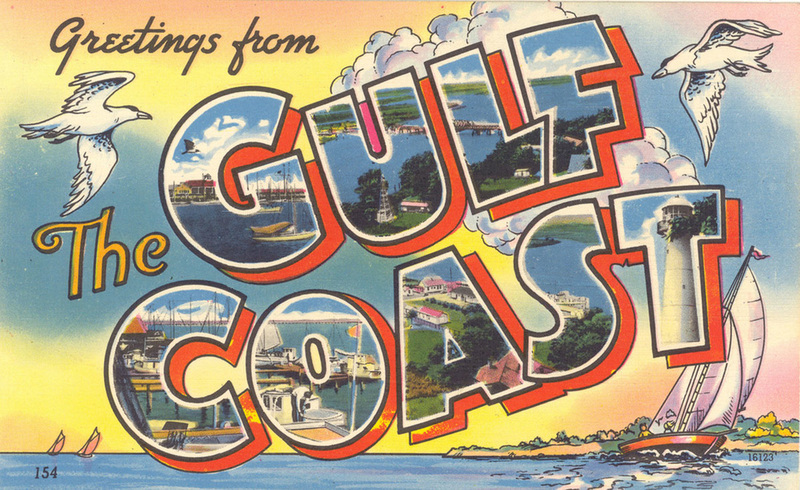 Tweeting one hundred years ago along the Mississippi Gulf Coast was done by mail. Postcards were all the rage at the dawn of the Twentieth Century. Your grandmothers and grandfathers ‘scrawled flying words, and some initials’ on stiff paper, with a one-cent postal stamp, and a ‘view’. The revolutionary postcard created more points of contact between friends and family as the new abbreviated medium that required only short prose, the rest was left to the recipient’s imagination. Gulf Coast tourists in the 1900’s, like travelers all over the world, sought communication that was cheap, easy, and above all trendy. The postcard’s hand colored images of far away places were the Instagrams of the day.